Many people inhabit a closed belief system on whose door they have hung the "Do Not Disturb" sign. 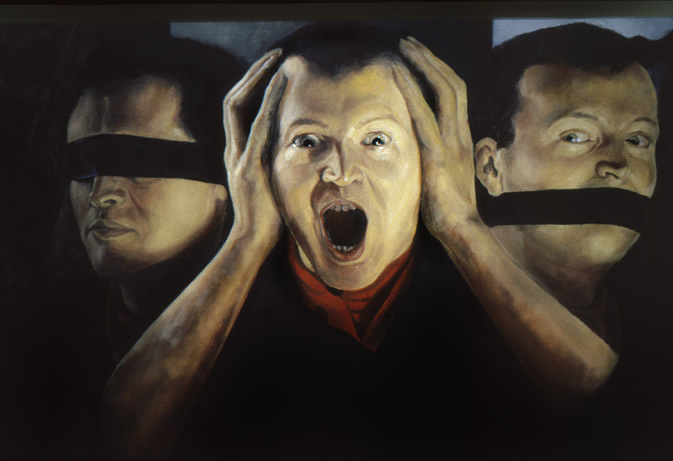 Image: Graeme Booth-S.H.S No Evil in Oil 24" x 36"
Bill Moyers is a shill. The media has no shortage of such these days. I would like it if you could expand on your comment, though. All sides and opinions are wholly welcomed.